Trick to Transfer Amazon Pay Balance:- It has been a hype or you can say that everyone was searching for this trick to transfer amazon Pay Balance either to their Paytm Cash Or Any Bank account. But there weren't any options to do that without using any third party barrier to exchange their Amazon Pay Balance to Paytm or any other coupons or e-cash. Like some of you have been doing with Zingoy. But still, you were unable to transfer Amazon pay Balance to Paytm Cash. As we all are aware of that Amazon always come up with their exciting offer to get Cashback if you recharge your Mobile Prepaid/DTH with "Amazon Pay Balance". But some of you want to transfer this cashback Amazon Pay Balance to Paytm/Bank Account. Now here is a new & latest trick to transfer your Amazon Pay Balance to Another Amazon Account or you can Convery Amazon Pay Balance to PayTM Balance or to Bank Cash. It kinda the same method to covert your Amazon Pay Balance To E-Gift Card then add it to PayTM Wallet. For this, you can buy PayTM E-Gift Cards using the Amazon Pay Balance. Later you can Add Paytm E-Gift Cards to your PayTM Wallet. After this, you can send it to your Bank Account. Apart from this, there are various Refer & Earn offer Like Shop101 Refer & Earn and Meesho Refer & Earn Offer. Where you can make sound income through referring to these app's catalogs to your friends & families. Now Make an Account & Verify it. After Login to your Account. Now Search For Paytm/Amazon Voucher. After this Enter the E-mail on which you want your Vouchers. Now Enter the Amazon Login details to Buy Voucher through Amazon Balance. Soon you'll receive your Voucher on your Provided email. Note:- If you want to convert your Amazon Pay Balance into PayTM Balance then you can buy Paytm vouchers by using Amazon Pay Balance. 2. Now buy BookMyshow Vouchers with your Amazon Pay Balance. 4. Pay the whole amount via Amazon Pay Balance. 5. After that, you'll receive BookMyShow voucher on your Registered Email ID. 6. Now Copy the BookMyShow Voucher Code and its Expiry Date. 2. Steps to Sell this BookMyShow Voucher in order to Cash it Out In Paytm/Bank Account. 2. Sign Up with a new account. 3. After that click on the Sell Gift Card Option. 4. Now search and Choose the BookMyShow from the lists. 5. After that provide your Voucher details. Like Voucher Code, Expiry Date etc. 6. Now keep this thing mind that you have to attract buyers to sell your listed voucher fast. 7. So you have to give some discount for buyers like if you have 150 Rs. BookMyShow voucher then list it as 130 Rs. 8. After doing this List Gift Card. 9. One more thing Nafa will also charge its 5% Commission if your Voucher sells. 10. When anyone purchases your BookMyShow Voucher you'll get your Money on Nafa under the section of My Funds within 24 hours. Trick to Transfer Amazon Pay Balance to Paytm/Bank Account. 1. Go to the Nafa.in then Menu option from Top Right Side. 2. Now Click on "My Funds" Option. 3. After that Enter your Payout details. 4. If you want to transfer your converted Amazon Pay Balance into Paytm Account then give your Paytm Account details. Or if you want to transfer into Bank Account then you do so as well. 5. Whenever your Listed Vouchers will be sold you'll get your Money into "My Funds" option. 7. No minimum redemption is there. Login or Sign-up on Railyatri App. Now Order Food from the Railyatri App. After this, Pay the whole amount using the Amazon Pay balance. After this cancel your order from Railyatri, Refund will come into your Railyatri wallet. Then you need to transfer the "Railyatri Wallet Cash" to your "Bank Account". Use your AADHAR card to provide the details and transfer your amount into your bank cash. So if the above tricks are not working then you can use "ClubFactory Amazon Pay Balance Transfer Method". That you should be calling as Clubfactory Amazon Balance Transfer Trick too. Soon we get to know about how you can transfer your Amazon Pay Balance from Amazon Account to your PayTM Bank account using the Club Factory App. We are sharing the whole process or method how you can use ClubFactory App to Send Your Amazon Pay Balance directly into your PayTM Bank Account or any other account. Apart from the ClubFactory Amazon Transfer Trick. We have also shared the ClubFactory Refer & Earn. You can buy some decent products from the Club Factory App. However, you are really into earning some good amount of money then you can check Meesho Refer & Earn Offer. Let's see how you can actually transfer your Amazon Pay Balance to PayTM Bank. Follow all the steps carefully and transfer your amazon pay balance to your Bank. First of all download the ClubFactory App. Now Login to your Club Factory Account or Create New Account. After this, Place any order on Club Factory. Now Choose the Payment option as "Amazon Pay". Finally, Place your Order using Amazon Pay Balance. After a few minutes, cancel your order & wait for 7-8 hours. Within 7-8 hours your refund will be initiated. Now you can transfer your refunded money directly into your PayTM Bank. At the First Time Try with Low Balance. Attractive Discount for Your Listed Voucher:- Yes ! if you want to sell your Vouchers on NAFA then you have to give some attractive discount to your buyers. So that your vouchers can sell out in minimum time. Keep Patience:- You have to keep some patience if you want to transfer your Amazon Pay Balance to your Paytm Wallet/Account. As it'll take some time for the buyers to buy your listed Vouchers. Advice:-We'll suggest you buy the vouchers in a low amount if you are going for the first time. One more thing you have to bear some loss (5% commission) in order to exchange your Amazon Pay Balance into Paytm/Bank Cash. Go only for this trick when you have some patience and time to invest in converting your Amazon Pay Balance. Transfer your Amazon Pay Balance into Paytm when you need it. Shop101 App Refer & Earn:- Shop101 App is here following the same footsteps of Meesho App. Use the Referral Code of Shop101 & ask your friend to place their first order to get the direct money into your bank account. They'll also get the 200 off on their first order. You can regard this app as Meesho App Refer & Earn. Shop, Resell & Earn on Shop101App 3716ES with your Phone. On the Shop101 App, they are holding up the various resellers to sell their products. Giving an outstanding opportunity to "earn from home". On the Shop101 you can do "Refer & Earn". Means you have to first use the "Shop101 Referral Code" of your friends and then place your first order. Don't worry you'll get 200 Rupees off on your First Order. You must have to use Shop101 Referral Code first. 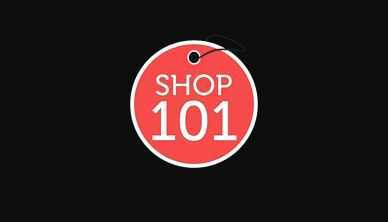 About the Shop101 App:- Shop101 is a reselling hub. Where you can earn monthly a good amount of money by reselling the products available on the Shop101 App itself. On the Shop101 App, there are various categories available for everyone. Whether they are Men or Women. You can buy or you can resell the products using WhatsApp, Instagram or Facebook. Shop101 Refer & Earn provides you the way to share the catalog of products using social media apps to sell more products on various platforms to get more profit by their Refer & Earn Option. It's kinda easy to resell using Shop101 Online Selling App. Now, Shop101 is still giving the Referral Bonus on the First Order of your Referrals. Means you are downloading the Shop101 and uses the Referral Code and then place your First Order you'll get some First Order Discount and when you Refer Shop101 App to your Friends and ask them to do the same then you'll get Instant 200 Rupees Referral Commission on their First Order. In a lucid way to understand this concept of gettting Referral Commission From Shop101 is that. Download the Shop101 App, Enter the Referral Code:- 3716ES and Place your First Order. Since you'll enter the Referral Code you'll get some discount on your First Order. After this go to Shop101 Refer & Earn section and Start Referring to your Friends to get Referral Commission. Now, Shop101 Refer & Earn has improved their Refer & Earn Offer. They have completely copied the Invite & Earn System on Meesho Refer Earn. Earlier Meesho was providing the 250 Rupees Cashback on the First Order of Your Referrals. But Shop101 Invite & Earn has bit improved than Meesho. Now on the Shop101 Refer & Earn even your Referral will get 200 Rupees Cashback on their First Order. That's an amazing thing. 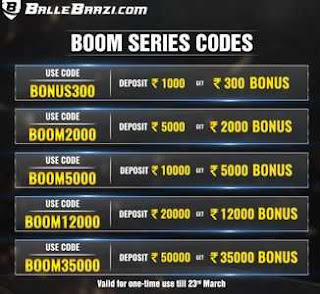 Now you both can earn 200 Rupees Bank Cash according to their Invite & Earn Cashback Offer. Yup! Now in their new Invite & Earn Offer of Shop101. You can get products worth 240 Rupees or 300 Rupees in Just 40 or 60 Rupees. This can happen when you follow the steps carefully and use our Invite Code - 3716ES in Shop101 App. Refer & Earn has become one of the trending element for any app to promote and create hype to make it successful in today's era. That's what Shop101 is also using this catalyst to promote it. Or you can say competing with other apps like Meesho App. Which is somewhat like the same as Shop101. First of all Download the Shop101 App. Now Enter Your Mobile Number & Verify it with OTP. After this go to the "Top Right Corner". Click on the Three Vertical Dots. Now there will be Option of "Refer & Earn" Option. Enter the Shop101 Referral Code - 3716ES. After this Click on the "Search" Option & Search any Product. Now Simply Click on the Order Now, Select Size & then Select Delivery Address. Now Choose the Payment Option and Place your Order Successfully. How To Place your First Order on Shop101 App & Get More Discount? By following this step, you can actually get more discount on your first order. Open the Shop101 App and Search any Men's T-shirt and Short it with according to your price range. Now Open any catalogs from the T-shirt Categories and select your Favorite T-shirt. Now below the image of the T-shirt, you'll see ⸎Earn Rs31 or Earn Rs44 etc option that is actually Edit Product Margin Option. Click on it and Enter Rs. 1 and then Update this section. After this Click on Order Now option, Choose the Size & Click on Proceed option. Now you'll see the most affordable rate of that particular T-shirt. Now Set Delivery Address and Choose the Payment Mode as PayTM to get 5% extra cashback discount. In this way, you can get one T-shirt at the Rate of 46- 80 Rupees after the Referral Commission. After placing your First Order. Now Click on the "Refer & Earn" Option. Copy Your Referral Code that is most probably your Number. Now Start Referring Shop101 App with your Referral Code 3716ES. Ask your Referral to do the same thing like placing their First Order. After the Successful order of their First Order, you'll get 200 Rupees directly in your Bank account. So this was the post about how you can earn from the Shop101 App with their Refer & Earn offer. Just share your Referral code of Shop101 App among your friends and start earning with Shop101 online reselling app. Hello Meesho Users! I hope you are reselling the products from the Meesho Supply App. Most of the Meesho resellers/users are aware of this thing that Meesho has introduced their "New Referral System". Where you can now get 20% Referral Bonus on First Five (5) Orders from your Referrals. Meesho Refer & Earn Code can now be used by your Referrals to place their products and they can also get some best discount from the Meesho App itself on their First Order. It has become more appealing for the Resellers who are consistently reselling products from the Meesho App. Now they can make extra Referral Bonus of 20% on the First Five Orders. Just use the "Meesho Referral Code" and ask your Referrals to place their order on Meesho App. When they'll place the order of their choice then you'll get your Referral Bonus. As far as we know that, Meesho is doing great with their "New Referral System". Earlier you can get only 250 Rupees for the First Order from the Meesho App. Like you can still get 200 Rupees Referral Bonus from Shop101 Refer & Earn. On the Shop101 Refer Earn you can get 200 Rupees Bank Cash on the First Order of your Referral. But in the Meesho App, they have removed now such "Refer & Earn Offer" and have introduced the Referral Bonus on First Five Orders. It's Kinda a Meesho App Loot Offer. Now according to the Meesho Refer & Earn Offer, You can get Referral Bonus for the next five orders of your Referrals. But remember you'll get only 20% Bonus on the Five Five Orders. So it totally depends on your referrals' order amount that how much referral bonus you're going to get. After reading the above snippets of the Meesho New Referral Scheme/System. Now you must be wondering how you can refer meesho app to your friends & families. It's kinda easy to refer your Meesho App to your Friends. Just follow the steps carefully and share the Meesho App Downloading Link and share your Referral Code to your Friends, Ask them to download the app & then ask them to Enter your Referral Code. After this make sure they place the First Order of their Choice to be eligible in Refer & Earn System. Download the Meesho App From this Link - Download Meesho App. After this Place your First Order and Wait for the Delivery. Done..! Now you have been part of the Meesho's Refer & Earn Offer. Afterward, Share your Referral Code/Invite Code to your Friends & follow the Same Steps. Go To 'My Account' section and then Click on 'Refer & Earn'. You'll see your 'Unique Referral Code' and click on Tap to Invite Friends option to share your code. Now you can call them to place their first order on Meesho whatever they like on Meesho. How To Place Order on Meesho? First, let me tell you that you can earn through margin too. Means apart from the Refer & Earn offer. You can set a margin on your Shared Catalogs. But if your friends join through your Referral link on Meesho. And he/she doesn't know about how to place their order then they can edit 'margin' option on Meesho App and put 'Zero' amount there to get the actual price on the product. It'll still provide the referral bonus and your friends can get the product at a reasonable price. How To I Get/Redeem My Referral Earning/Commission From Meesho? Whenever your referral places their order on the meesho app you'll instantly get a notification that you have earned some commission in Meesho. When your referral's order get delivered then on every Tuesday the referral commission of delivered orders will be settled and will be sent directly into your provided bank account. Your Referral Places an Order on Meesho App. You'll get the Notification from the Meesho, that your referral has placed their order & you have earned a commission. Your Earned Commission will show you as 'Pending' in your Refer & Earn Section. Now when their placed orders get delivered then on the upcoming Tuesday you'll see that your Pending Commission will be converted into Received Commission. That Received commission you're actually going to settle into your Bank Account. Meesho Earning Proof? How Much We Can Earn From Meesho? Earning from the Meesho is solely based on the orders of your Referrals. Your Referrals will place their Orders then you'll get Referral Commission or Referral Bonus into your bank account. The more you Refer on Meesho the More you can Earn through Refer & Earn System. Suppose that you have referred few people on Meesho and they haven't yet placed their orders then you can't earn through Referral Bonus/Commission. So it's necessary to persuade your referrals to place their orders on Meesho App. As soon as they place their orders on Meesho. Your referral earning will be started. So it totally depends on your referral's orders. Here you can earn up to 50,000 Rupees by only inviting your friends and families on Meesho. So this was the post about Meesho App Refer & Earn Loot. 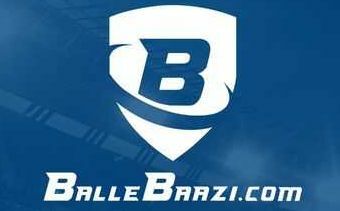 Where you can earn through New Refer & Earn Offer. Just Share/Invite your Friends on Meesho app using your Meesho Referral Code/Invite code and ask them to place their Orders. On their First Five orders, you'll get 20% Referral Commission bonus on their orders. This is how you can earn from Meesho. Refer more friends on Meesho earn more from Meesho. Meesho is actually giving good, quality products. So share more and earn more from Meesho. Zupee Gold Paytm Offer:- Zupee App is Trivia Quiz App. Where you can get assured PAYTM by playing a Simple quiz on Zupee Gold App. On the "Zupee Gold App" login with Gmail ID & then verify your Paytm Number in profile section you'll get Free Ticket to Join or Register to any Live Quiz Tournaments. Where you have to play Simple Trivia Game on Zupee Gold. The Quiz tournaments are based on the Bollywood, Odd on Out, App, Math etc. The quizzes are very simple to answer. The faster you'll answer the questions the more chance will be there to win more PayTM Cash. More Paytm Earning Apps: Meesho Refer & Earn Paytm Bank Cash. 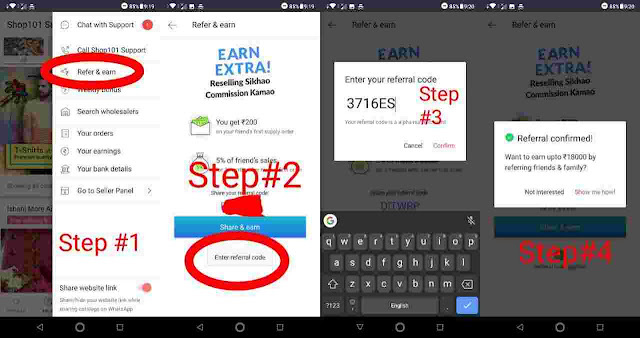 Zupee Gold PayTM offer:- On the App, you'll get instant 10 rupees Paytm cash if you are going to sign up with Gmail but you need to enter the Referral Code of Zupee Gold first. So that you can get instant Paytm Cash. Zupee Gold Play & Earn:- On the Zupee Gold App Play Simple game to get assured paytm cash. Questions are really very easy on Zupee App. Just read it carefully and then answer quickly to get higher chance to win more paytm cash. Oops need more paytm cash then read these paytm refer & earn offer. Refer & Earn direct Paytm on these apps. Meesho Refer & Earn - Earn Real Money with Referral Bonus. Zupee Gold App is also running the Refer & Earn Offer. Where you can Share/Refer your Zuppe Referral Code to your friends. On every Referral you'll get 10 Rupees Paytm Cash. But there is a catch your referral's have to join the Live Tournaments with using Free Tickets and Win a tournaments in order to get your Referral Bonus on Zupee. How To Register on Zupee Gold & Get Free PayTm Cash? This app is not available on Play Store. It's an APK File. When you'll Open this Link in Browser it'll ask a pop-up to download. Now Download it and Install it. Open the Zupee Gold and Sign in with Gmail App. After this you'll get Free Tickets Pop on the Homepage. Now go to the Profile Section and Enter your Paytm Number and Verify it with OTP. Instantly, you'll get 10 Rupees Paytm Cash. Now after this you have Register for Live Game. Make sure while registering use your Free Tickets to Register and Wait for the Live Game. Now Play the Game and answer swiftly to earn assured paytm cash. Zupee Gold App is a Trivia based app where you can get assured paytm cash. Just Sign up with Gmail and then Verify Paytm Number and Win One Game on Zupee Gold App & then Refer Zupee App to your Friends and ask them to do the same. As soon as your Referral wins any quiz games you'll get Referral Bonus of 10 Rupees Paytm Cash.